The foreclosure crisis is far from over. Last year there were 25,673 foreclosure sales in Minnesota, an 11% increase over 2009 and the second-worst year on record. According to a new report from the Minnesota Home Ownership Center, more than half of all of the foreclosure sales in the state last year happened in the Twin Cities metro area, where sheriff’s sales rose 9%. In greater Minnesota the number of sales was up 16%. Foreclosures have been a drag down the housing market, pushing prices down and leaving an excess in available housing inventory. The situation was particularly bad in some of the communities north and northwest of the Twin Cities. Anoka and Hennepin Counties had the highest foreclosure rate statewide last year. There have been some interesting environmental development happening around the Twin Cities and Minnesota. Here are some of the community-related green news and stories that broke in January. An in-depth survey of 3,000 households in Ramsey and Anoka counties is providing environmental researchers at the University of Minnesota insight into what it would take to get people to make more of an effort to reduce their impact on the earth. They asked about thermostat settings, number of children, cars, bedrooms, miles driven to work, lawn size and fertilizer use, even whether there were vegetarians in the house. As it turns out, most people really do care about their impact on the environment. But what really drives them to change is knowing how they rank on their own personal pollution scores, how they compare to their neighbors, and where they can improve. In the end, the researchers hope to find out how best to influence social norms and change behavior toward a more eco-friendly culture. More U.S. consumers and developers are turning to factory-built housing for speed, quality and energy efficiency. The prefab market is positioning itself for major growth when the housing industry rebounds. 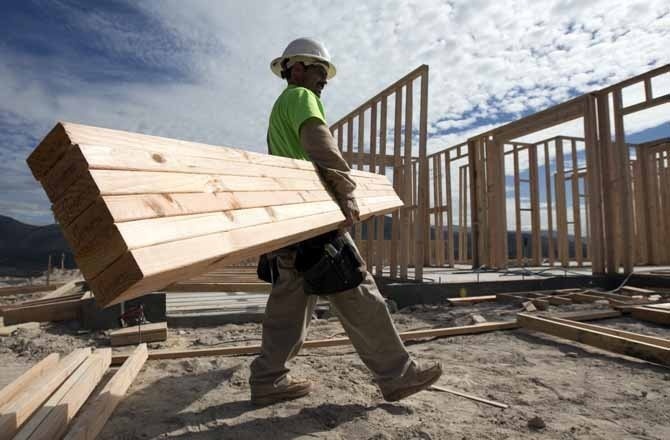 Several prefab newcomers, including ZETA, Minnesota-based Hive Modular and Florida-based Cabin Fever, report healthy annual increases in the number of homes they're building. Several prefab newcomers, including Minneapolis-based Hive Modular, report healthy annual increases in the amount of homes they're building. The prefabs take 5 to 12 weeks to manufacture and 4 to 8 weeks to assemble and finish once it is delivered on site. Prices range from $200 to $250 per square foot. Several carried the Energy Star label and one earned the top, or platinum, rating from the U.S. Green Building Council. Not finding a home that you like that's also energy efficient and earth-friendly? Perhaps buying a lot and a prefab is the right way to go. Minnesota Nice. You hear about it all the time, but it's not always apparent. Elk River has brought it back. After the Elk River City Council declaired February the Month of Kindness, Mayor Stephanie Klinzing challenged residents to commit 1,000 "random acts of kindness." And the Elk River MN resdients didn't hold back. All month long, residents did kindly deeds, then recorded them either on post cards sent to the city or posted them online at www.loveelkriver.org. "We are the kindest city in Minnesota," Klinzing declared this week, as she stood beside a wooden thermometer in Rivers Edge Park that registered the city's progress -- 1,300 acts of kindness as of Thursday. The project was started due to Elk River's size. The city has grown so big, with a population of about 24,000, that residents worried it was losing its close-knit, small-town feel. Then Mayor Klinzing saw a YouTube video about a restaurant in Philadelphia where people kept paying for other diners' meals. "I got the sense that if we did a similar thing through the entire city, something would change. It would be kind of a climate change. That basically is what happened." "A friend helped me with my homework and helped me to feel smart." "I paid for the person behind me's fare on the commuter rail." "I volunteered at a local food shelf." "Cleaned a very dirty and smelly microwave out for others." "My neighbors ... help me to remain in my house. They are always doing things ... that I just cannot do by myself. Their help is beyond question my lifeline to keep me going. Thanks"
"My dog, Sarah, & I visited a dementia floor at a nursing home. The residents seemed to be comforted by petting her." Including North St. Paul and Anoka, 12 Minnesota cities have begun installing wind turbines. Buffalo, Le Sueur and Faribault have had wind turbines installed already. Anoka, Arlington, Brownton, Chaska, East Grand Forks, Olivia, Shakopee and Winthrop are up next. If everything goes as planned, all of the Minnesota Municipal Power Association wind turbines will be up and running by mid-November. The St. Paul Convention & Visitors Authority has rolled out the "50-50 in 2" program. It is meant to cut trash output at the RiverCentre and Xcel Energy Center in half and push the recycling rate up to 50% in two years. Three Minnesota schools took top marks on a national report card that measures colleges' sustainability efforts. The University of Minnesota, Carleton College in Northfield and Macalester College in St. Paul were three of 26 schools to score an A- on this fall's College Sustainability Report Card. To meet federal clean water standards, the Minnesota Pollution Control Agency is considering ways to keep runoff and pollutants out of three west-metro lakes. Eagle Lake, a 291-acre lake popular for fishing and swimming, phosphorus would have to be reduced by 40% to meet Clean Water standards for swimming. The phosphorus levels in 81-acre Cedar Island Lake would have to be reduced by 67%. The 58-acre Pike Lake would need a 49 percent cut in phosphorus. The three lakes in Maple Grove and Plymouth are so polluted, it may take 20 years to get them off the state's impaired waters list. In a similar move, Eden Prairie will repair two catch ponds at the base of the Minnesota River bluff to reduce storm water runoff and pollution from going into the river. The Lower Minnesota River Watershed District has also commissioned an engineering study on how storm water, groundwater and river water are interacting to erode the north bank of the river below the bluff, where Riverview Drive is located. So maybe you've already bought a home. Or maybe you're not ready to buy one. Maybe you're a little uncertain about the economy, perhaps you're unemployed? Even if the federal tax credit deadline isn't tempting you to buy a house, maybe you can help build one! When slow sales meant employees had to take some unpaid time off, manager Jim Boschuetz at Rockwell Automation in Roseville MN thought about what to do with the 4 1/2-day furlough. They decided to do something constructive. Literally. They helped work on an eight-unit townhouse complex being built in Ramsey by Twin Cities Habitat for Humanity. The building, in the 14800 block of Olivine Street, is the last of three eight-unit townhouses built in Ramsey by Habitat. The $3.2 million development, which began in 2007, is just north of Ramsey's Town Center. To buy the land, Habitat received grants of $540,000 from Anoka County and $209,214 from the federal Self-Help Homeownership Opportunity Program. The city chipped in $6,000. Twin Cities Habitat for Humanity has reported a dramatic increase in attendance at its volunteer orientations, from 550 people last year to 900 this year. In fact, many organizations have seen an increase in volunteerism since the economy has taken a downturn. The nonprofit agency sells houses with no-interest mortgages to Twin Cities families with incomes less than half of the metro median, but large enough that their monthly house payment is up to 30 percent of their income. Habitat-paid supervisors and volunteers have built 770 homes in the seven-county area since 1986. I highly recommend reading the rest of this Star Tribune article about the home, the workers, and the community spirit that building these houses has encouraged. If you'd like to volunteer, contact Twin Cities Habitat for Humanity.